I'm honoured that my animation won an Award of Merit in the student animation category at the 2017 Association of Medical Illustrators conference. There is a sense of public discontent in the progress achieved by science in controlling cancer. Unfortunately the public is surrounded by disinformation and myths that obscure the reality faced with a cancer diagnosis. 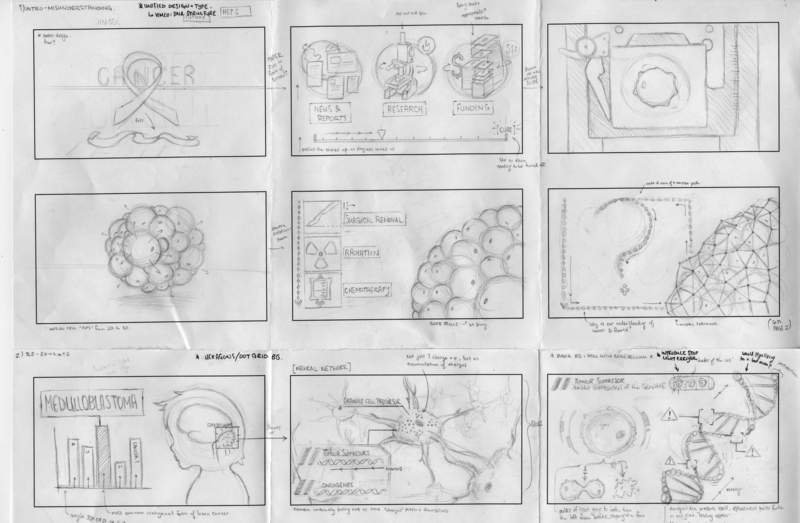 The purpose of this video project is to re-educate the public on what cancer is and why treatment is complex, in a visually engaging and accessible format. I had the immense privilege to work at the Brain Tumour Research Centre (BTRC) with both its operations manager, Dr. Christian Smith and its director and principle investigator, Dr. James Rutka. 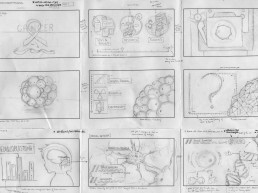 Countless committee meetings and dozens of storyboard versions were created in order to tell the most succinct and comprehensive story possible. 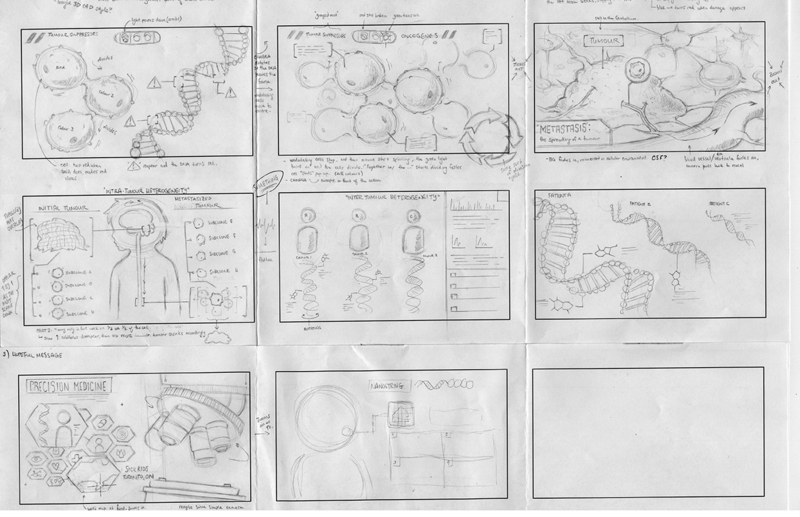 Below are some rough storyboard sketches and ideas. 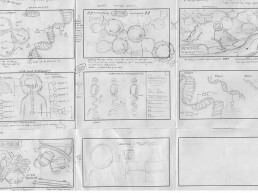 In addition, an early stage animatic was created for timing and transitional purposes.